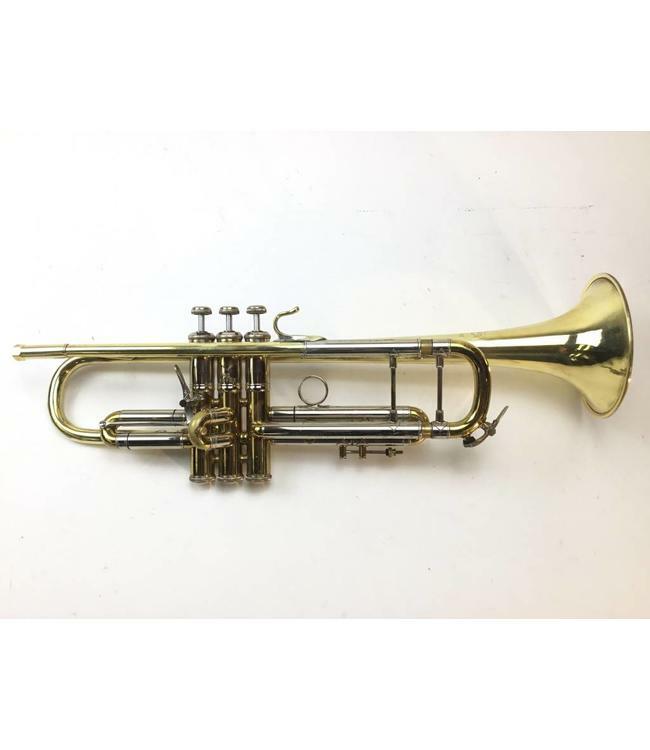 Used Bach Stradivarius model 25, ML bore (.459”), Bb trumpet in lacquer. Body is early Elkhart (circa 1973) with 1st valve trigger and bell was changed to a 25 taper. Instrument is in good condition with evidence of bell repair, surface scratching and lacquer wear. No case.